Our Slacker Backer total is ~ $285,000, which brings our crowdfunding total to $4.69M. We have only three days remaining, so be sure to spread the word. On Friday, April 28th at 5pm PDT, we will no longer count contributions towards stretch goals and the game will be 'content locked', meaning that we will not be putting any new content into the game. However, we will continue to take new backers on Fig and our Backer Portal if you'd still like to get rewards. We will share an update on Friday with more information on the Backer Portal and what you can expect in the near future. Remember to confirm your pledge on the Backer Portal if you haven't already. We need this information linked so we can send you your rewards! You can read through our instructions for confirming your pledge in Update #25. 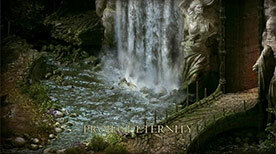 If you have already backed Pillars II, you are able to modify your pledge at any time. PoE Deluxe Edition OST & White March OST Now Available for Download! For those backers who purchased the Pillars of Eternity Deluxe Edition OST or The White March OST, these soundtracks are now available for download on our Backer Portal! Head over to the 'My Products' tab of your Account Profile to view the items available for download, and you should see your Digital Deluxe and White March soundtracks. If you have questions or need help with claiming your available digital rewards, please reach out to us at support@obsidian.net. If you haven't purchased these soundtracks yet, you can still get them as an add-on for $15 (Deluxe Edition OST) or $9 (The White March OST). Pillars of Eternity Digital Deluxe Edition OST ($15) - The most complete version of the soundtrack to Pillars of Eternity I, containing 27 new tracks! (Includes the soundtrack to The White March). Pillars of Eternity: The White March Digital OST ($9) - The previously unreleased digital soundtrack to the Pillars of Eternity expansion, The White March (does not include the tracks from the base game). There's a new crowdfunding campaign on Fig, and if you're a fan of the X-COM series, you'll want to check it out. Snapshot Games and Jullian Gollop, creator of X-COM, are back with another game called Phoenix Point. The game features turn based tactics and world based strategy in a fight against a terrifying, alien menace. Check our their Fig page, and if you're interested, consider contributing to Phoenix Point. They have some pretty cool rewards! In Pillars of Eternity II: Deadfire we've upgraded to a new cloth solution for capes, robes and other garments using the cloth physics in Unity 5. The improved pipeline lets us add more cloth items to the game, as well as have good cloth simulation across all platforms - including Mac and Linux. Great! Well... it wasn't all great... Game development is never easy, and there's always a problem or an unforeseen issue. With our new cloth, we soon ran into a problem with it, as we couldn't get it to work on our full-screen paper-doll characters that are shown in our Inventory, Character Creation, and Level-up UI. As we implemented capes, we found that Unity only has one physics "world", and our paper-doll characters exist in a separate scene from the rest of the game - but they share the same world as the rest of the game. When the game world is paused, the cloth sim in paper-doll would be paused as well, completely still and non-animate. We couldn't find a way around it. This was unacceptable of course, and we needed to find a solution. Our solution sounds crazy, but the only choice we had was to write our own cloth simulation for paper-doll. Thankfully, it didn't have to be as efficient or fancy as Unity cloth, as we only show a single character in paper-doll. Our solution uses a simple verlet-physics sim to get a stable physics simulation that was is fast and was easy to implement. The results are shown on a Vithrack character - hopefully you can agree that the simulation looks close-enough. In addition, we are exploring leveraging this system for flails and other dynamic simulations too!